When is [insert airline here] joining oneworld??? Which airlines are lined up to join? 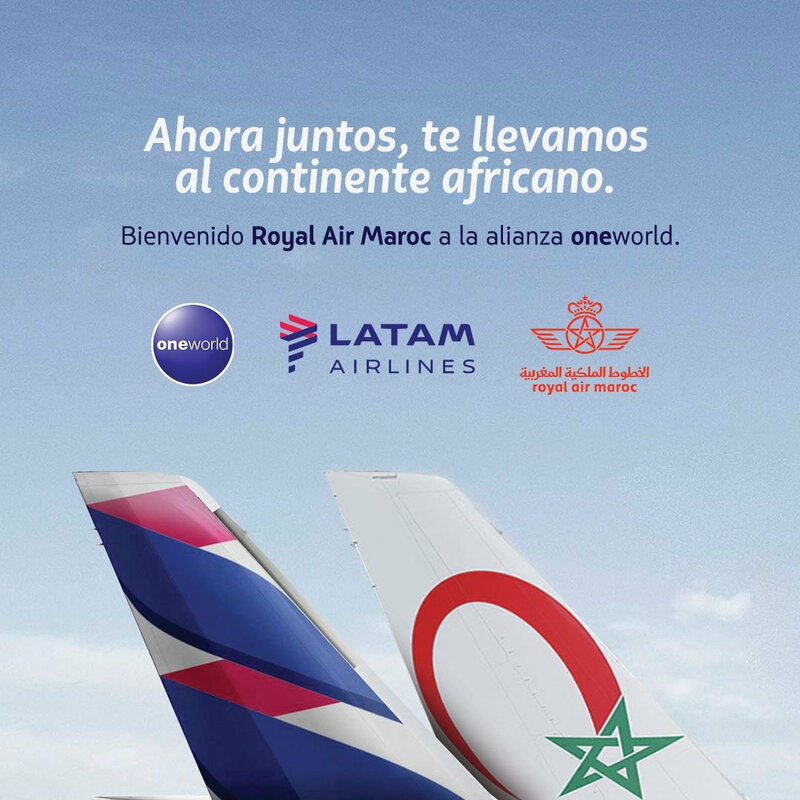 Royal Air Maroc is expected to be implemented into oneworld in mid-2020… Its regional subsidiary Royal Air Maroc Express will join as a oneworld affiliate member at the same time. EI's new owners, IAG (owners of existing members BA+IB), stated before acquisition that they fully intended EI to rejoin, and have restated the intention since completing the purchase. EI has not yet been publically 'invited' by oneworld but should join eventually. When? When it's announced... When will EI become a full member of Oneworld? Walsh said it was too early to set a precise date for when Aer Lingus might officially join. “We don’t have a specific timeline. We’re working as quickly as we can," he said. An affiliate of JJ, who joined in 2014. The press release from when JJ joined said PZ would be "soon". We're still waiting: Has TAM Mercosur (PZ) joined OW by now? TAM's affiliate in Paraguay, TAM Airlines (TAM Mercosur), will join oneworld soon, which means that all passenger airlines in LATAM Airlines Group will be part of oneworld. Well, that's what the discussion below is all about! Heard a rumour? Think oneworld should chase a particular airline to join or switch? Make your case! Say this recently on LATAM’s Facebook page. I was thinking JJ. Didn't realize AT already flew the route. Members of the Oneworld airline alliance met late last week in London to celebrate the 20th anniversary of the partnership and kick off new initiatives for the coming years. But for all of its rapid expansion, the alliance seems hesitant to welcome China Southern, China’s largest carrier, into its ranks. Instead, the alliance seems more interested in making China Southern a Oneworld Connect member, or a partner with limited benefits. Oneworld is one of the three major airline alliances in the world, and holds carriers such as American Airlines, British Airways, Cathay Pacific, Finnair, Iberia, Qantas, and Qatar in its ranks. Throughout mainland China, however, the alliance hasn’t got a strong partner outside of Hong Kong-based Cathay Pacific. According to Jens Flottau of Air Transport World online, during the meeting late last week, Ron Gurney, the CEO of Oneworld, shared that the alliance has “no plans” to add China Southern to its ranks in the near future. That plan may prove disruptive for those bent on robustly expanding the alliance’s reach into greater China. Already, American Airlines owns a 2.76 percent stake in the carrier while Qatar owns another 5 percent. British Airways, a third Oneworld carrier, has also explored a joint venture with China Southern, though none of those talks have yet borne fruit. Further speculation has been fueled by the Chinese carrier’s own alliance ambitions. Late last year, the carrier announced that it was leaving the Skyteam alliance to head out on its own. Between that move and the above investments, it seemed that the carrier was clearly on a trajectory to join Oneworld – but so far, no partnership has formed. Instead, executives at Oneworld may be keen on making China Southern a Oneworld Connect partner. Launched last year, the Oneworld Connect product is a sort of “membership light” option that gives partners (and passengers) access to alliance benefits without fully joining the ranks. A passenger booked and flying on American Airlines, for example, could fly to Beijing on American and then transfer through to China Southern, a Oneworld Connect partner to complete the journey. Throughout, the passenger would earn frequent flyer miles and other benefits across the entire trip. Alone, however, a passenger booking directly and exclusively on China Southern wouldn’t get Oneworld benefits. Already, other carriers are considering the use of Oneworld Connect. In November Alaska shared that it may take advantage of Connect in some geographies while Fiji Airways plans to become the first partner member starting next month. At the Oneworld meeting last week, CEO Rob Gurney suggested that carriers were clamoring to partner up as Connect members, while IAG’s Willie Walsh said that Aer Lingus was considering the role. If the top brass at Oneworld aren’t yet ready to let China Southern in the door, the Connect option may be a realistic alternative. It’s been 20 years since the formation of the Oneworld airline alliance, the global partnership between 13 air carriers that now moves over 500 million passengers each year. To celebrate the event, members got together in London earlier this month to chart the path forward. Item one on the agenda was a rebrand, because millennials supposedly respond to bright colors and images of widely grinning models, if Oneworld is a case in point. The new tagline is Travel Bright. Beyond aesthetic updates, though, the alliance launched a few key initiatives, including an effort to build more unified Oneworld airport lounges rather than multiple carriers building competing spaces in the same terminal, and a global app through which all alliance passengers can access reservations and check in. Perhaps the most interesting part of the affair in London was news of the alliance’s expansion plans. Of late, the alliance has been keen on selling potential airlines on the concept of Connect status, which allows passengers to transfer through to a partner carrier and reap benefits — all without the carrier being a full member. Fiji Airways and Alaska are already considering this membership and, according to executives at Oneworld, other airlines are queuing to join. That may be the ultimate fate of China Southern, which curiously left the SkyTeam Alliance last year. Until a formal deal is crafted, it remains adrift with only a handful of investments and joint ventures with Oneworld carriers — and no place to call home. there's a paywalled article on ch-aviation dating back to March 1st saying that Royal Brunei is mulling oneworld connect membership. pretty interesting since they've always been somewhat under the radar, and given next-door MH is already an oneworld member. Must say i'm not too disappointed by that news. Agreed. Wasn't aware of PAL even in the mix. ​​with UL, MH and CX in the region. Interesting because BI was an CX Asia Miles partner (and the only programme other than BI's own that BI flights can be credited to), but not the case any more. BI started the partnership with CX Asia Miles in 2004 but the partnership ended a couple of years ago (can't find exactly when). With Asiana's financial troubles and potential sale, is there a place for OZ in Oneworld? Would CX, or JL object? What would OZ gain by switching alliances? It probably costs a lot to align to another alliance, like arranging new feeder flight arrangements and probably shift routes from Star Alliance hubs to Oneworld hubs. JL codeshares with KE on all JL/KE flights between Japan and Korea, and this could be a problem for OZ.